The new Zimoun exhibition at Soon gallery in Bern will showcase some of the most interesting works by the installation artist who creates magic with sound! Bern-based Zimoun is one of Switzerland’s most famous artists, famous for his spatial installations that encompass movement and sound. The title of the exhibition is Motors, cardboard, MDF, wire, cork, cable. 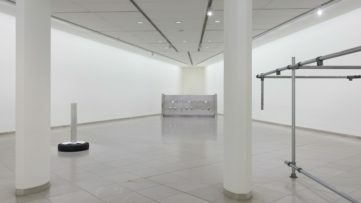 The title lists the common components of Zimoun’s artworks. Those simple elements create complex structures by interacting with each other and, as a whole, with the viewers, thanks to the Zimoun’s precise mechanical work. 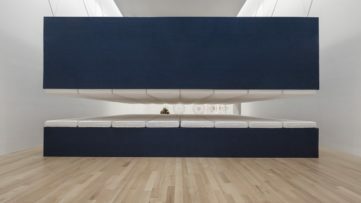 He often works with other artists or experts from the fields of technology, architecture, science and engineering, but remains minimalist in his expression. 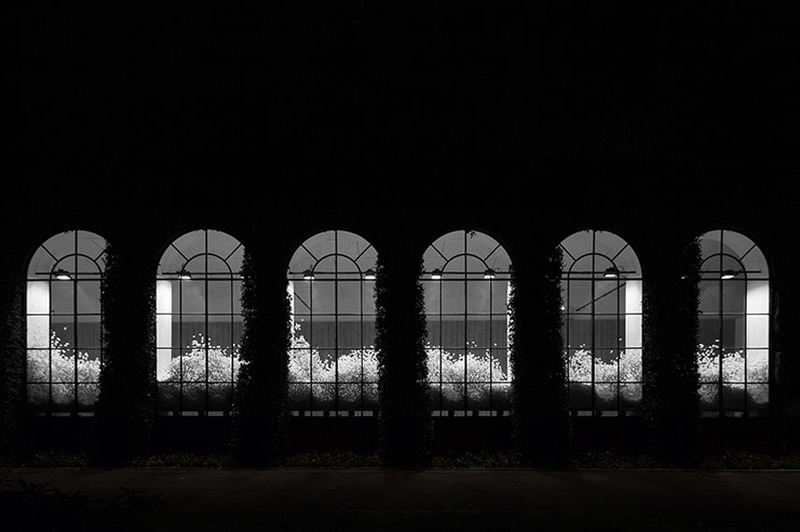 Born in 1977, Zimoun is self-taught, but that never prevented him from receiving prizes for his work or being internationally exhibited. So far, his work has been shown in numerous locations, including France, the USA, South Korea, Taiwan, Romania, Slovenia and Liechtenstein. 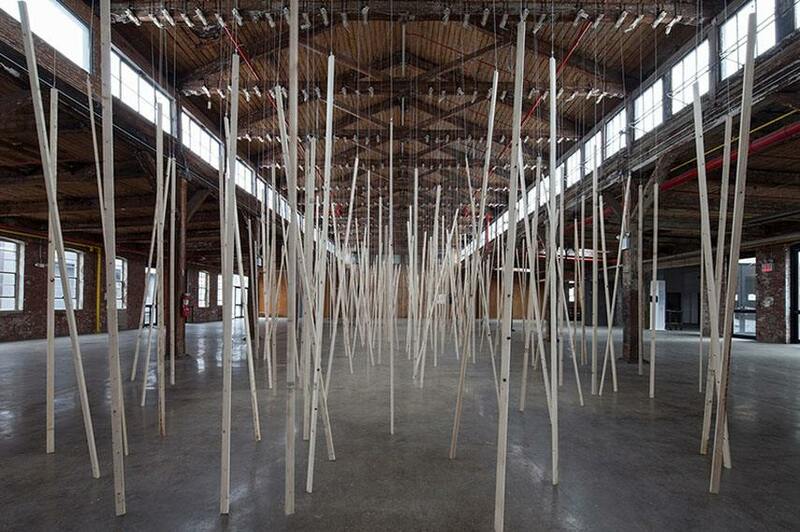 Zimoun is famous for his installation that generate sounds and noises. 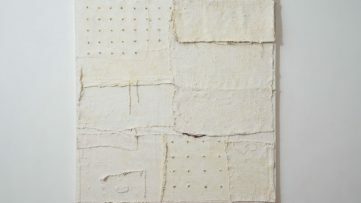 The artist has been interested in sound as well as visual arts ever since he was a child, and at the meeting point of those two interests he started creating the art that made him famous. 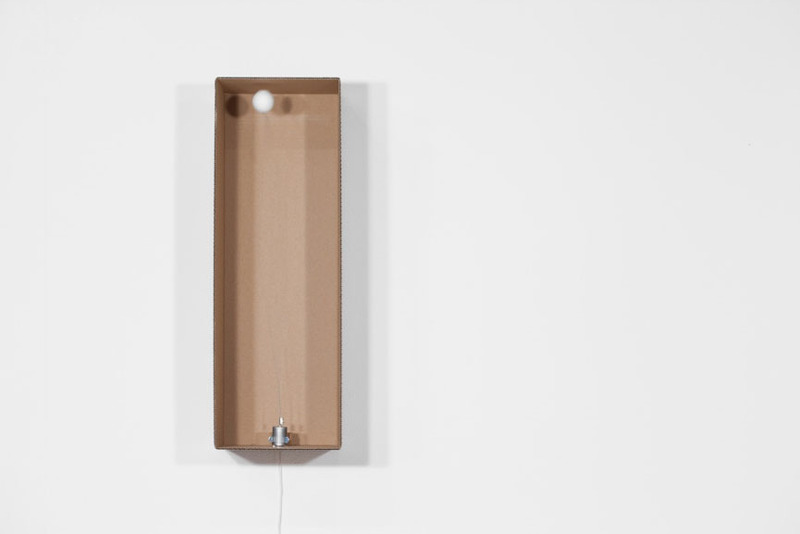 Zimoun’s installations are made of simple materials and found objects (sometimes even furniture!) and often have a large number of simple mechanical elements. His works move and always change, at the same time creating sounds. 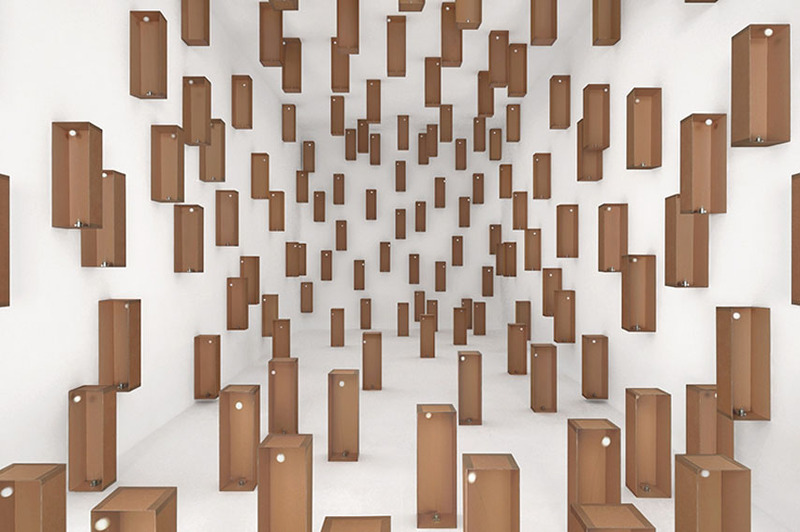 Zimoun’s installations (or sound sculptures) are not there only to make noise: Zimoun is also interested in their spatial aspect, which is one of the most important features of installation art. 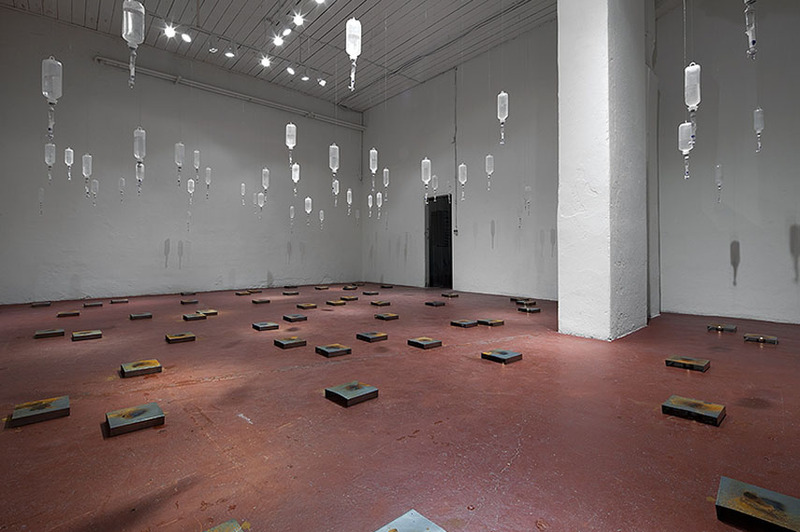 The artist uses sound as an architectural element, and it makes his installations even more immersive. His works are kinetic and often equipped with sensors, so they activate when a visitor is approaching. The objects seem alive and autonomous, playing out complex patterns of behavior where a repetitive automation is interspersed with an element of chaos and deviation. His work is always a bit unpredictable. 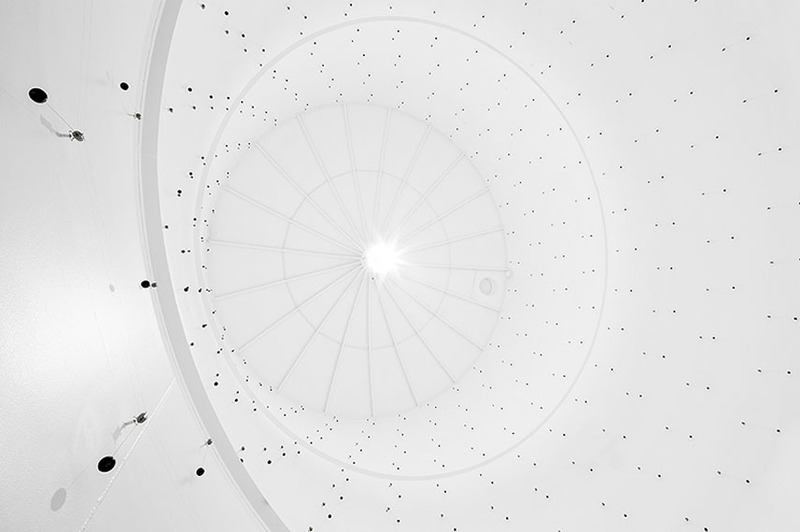 Zimoun’s installations, therefore, create a universe of their own.